The long national nightmare of sports-loving Comcast cable subscribers is about to come to an end. The cable provider announced a long-term content deal with Disney on Wednesday. Amid the details of new cable channels and on-demand content was this tidbit: Comcast’s Xfinity TV customers will soon get access to Disney-owned ESPN’s WatchESPN app. Comcast subscribers will soon be able to access ESPN programming on their iOS device as part of the deal announced Wednesday between Comcast and Disney. 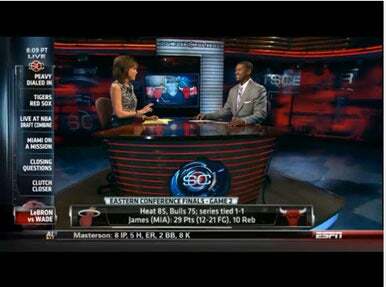 Added to the App Store last April, WatchESPN provides live streaming access to ESPN’s sports coverage. That means iPhone, iPod touch, and iPad owners can fire up the app and watch everything from college football to NBA games directly on their iOS device. The app also includes other ESPN programming such as SportsCenter, Pardon the Interruption, and more. The catch: That content is available only to customers whose Internet providers have struck deals with ESPN. Until now, that's been limited to Bright House Networks, Time Warner Cable, and Verizon FiOS TV. That left a lot of cable customers out in the cold—Comcast is the largest provider in the U.S., according to the National Cable & Telecommunications Association trade group. The Disney-Comcast announcement also alludes to future products that Comcast subscribers will be able to access, such as WatchDisneyChannel, WatchDisneyXD, and WatchDisneyJunior. The companies didn’t specify that those were iOS apps, but it certainly sounds like iPhone and iPad owners can expect more Disney mobile content to be arriving in the App Store sooner rather than later. Updated on January 5 with information on when Comcast support will be added to WatchESPN.